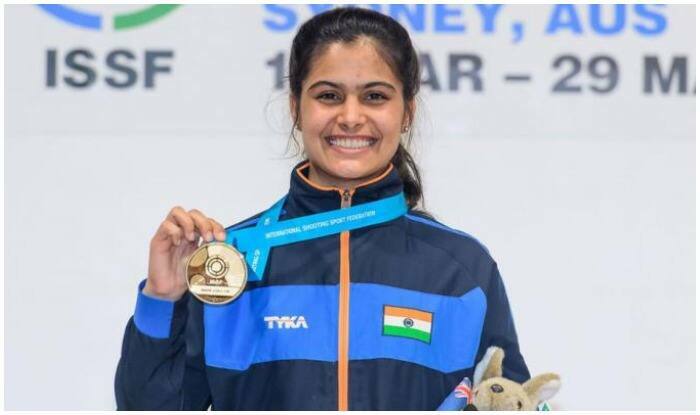 Gold Coast (Australia), Apr 9: Indian shooters Mehuli Ghosh and Apurvi Chandela on Monday bagged silver and bronze respectively in the women’s 10m Air Rifle shooting at the Commonwealth Games 2018. Ghosh missed the gold to eventual champions Martina Lindsay of Singapore in the shoot-off after both were tied at a CWG record score of 247.2 in the final. In the tie-breaker, Ghosh scored 9.9 while Martina shot 10.3 and bagged the gold. Mehuli Ghosh settled for silver, while Apurvi Chandela got the bronze with 225.3. Earlier today, in men’s 10m air pistol event, shooter Jitu Rai and Om Prakash Mitharwal won gold and bronze medals respectively. Rai shot a total of 235.1 points, thus, registering a new Games record. Meanwhile, Mitharwal, in his debut at the event, bagged the third spot after shooting a total of 214.3 points, thus, taking India’s medal count to 15. India now have 17 medals including eight golds in its bag.